Need a new case for your iPhone? 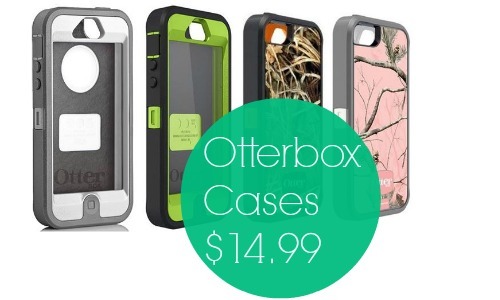 Groupon is offering the Otterbox iPhone 5/5s cases for up to 70% off at $14.99! Otterbox cases are known for their durability and this case is equipped with multi-layer protection and an integrated screen protection. It also guards against scratches too, and if you’re rough on your phone or just want a little extra protection, you can’t beat this case or the price. If you want one of these cases, go ahead and get yours, as there is limited quantity available. These could be great as gifts too and they come in a variety of colors too. Offer valid through 3/24. Shipping is $2.99 or FREE with $19.99 Purchase.